When they are in fashion, fads are never recognized as fads. Those under their influence and promoting them feel that they have come across An Important New Truth, or (if Orthodox) An Important But Neglected Part of Our Tradition. 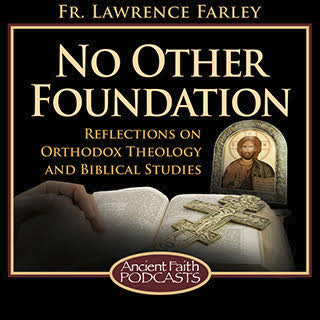 Recognizing them as fads or, (worse yet for Orthodox) as deviations from genuine Tradition, would only serve to dismiss them from serious consideration. Thus fads never ’fess up. Admittedly the conviction that everyone will eventually be saved (including Satan and the demons) has been expressed from time to time throughout Christian history (as has the unrelated conviction that Christ is not fully divine), but, like the latter Arian opinion, the majority of Christians have decided to pass on it. For people like the Orthodox who believe that God guides His Church and that therefore consensus matters, the solid fact of Christian consensus about the eternity of hell is surely significant. Orthodox scholars rarely stand on their hind legs and boldly proclaim that everyone will be saved. Like Metropolitan Kallistos Ware, they simply ask “Dare We Hope for the Salvation of All?” (see his essay by that title in the anthology The Inner Kingdom), and then go on to answer, “Why yes, of course”. Metropolitan Kallistos thus begins by declaring the question open (much like he recently declared the question of whether or not women may be ordained priests as open in the latest revision of his The Orthodox Church), and then proceeds to examine the evidence. We will do the same here, and examine the Scriptures, the Fathers, and the teaching of the Fifth Ecumenical Council. Since this is a blog and not a book, the examination must of necessity be somewhat limited. God judges sin with some reluctance, preferring the repentance of the sinner to his destruction (e.g. Ezekiel 33:11). In all of these themes (the Scriptural citations for each could easily be multiplied) we see that although God loves everyone and judges with reluctance, He does nonetheless judge with severity those who persist in sin because He is implacably hates sin. This binary theme of God as the lover of righteousness and hater of sin runs throughout the Old Testament. God is the judge of all the earth, and His punishing judgment and severity falls upon those who rebel against righteousness. Some might suggest that these themes have little ultimately to do with the subject of hell, since the judgment threatened in the time of the Old Testament had to do with this life and not the next. Admittedly, the Old Testament texts do not deal much with the life of the age to come. But there is one text that does: Daniel 12:2, which declares that “many of those who sleep in the dust of the earth shall awake, some to everlasting life, and some to shame and everlasting contempt”. The word rendered here “everlasting” is the Hebrew olam, which given its context of the age to come after the resurrection of the dead, means precisely “eternal” or everlasting in the traditional sense. There is therefore no reason to think that the judgments of God upon the sinner have no application to the life of eternity. The theme of the age to come of course comes to the fore in the New Testament. And here, Christ speaks quite categorically: the punishments of Gehenna are eternal. He warns of the impenitent being bound hand and foot and cast into the outer darkness where men will weep and gnash their teeth (Matthew 8:12, 22:13, 25:30), and there is no suggestion that this punishment will be temporary. Indeed, He teaches that in Gehenna, the “unquenchable fire”, the “worm does not die and the fire is not quenched” (Mark 9:43, 48). If the Universalists are correct, then the worm will indeed die and the fire will indeed be quenched, but Christ here says the opposite. In His parable about Lazarus and the rich man, Christ explicitly says that there is a great gulf fixed between paradise and the place of punishment, so that none may cross over from the place to punishment into paradise (Luke 16:26). Granted that this is a parable and not a behind the scenes peak at eternity, it remains an odd thing to say if in fact everyone in the place of punishment will indeed eventually cross over into paradise. Also important to the discussion is the fact that Christ describes the two fates awaiting men after the final judgment either as “eternal fire prepared for the devil and his angels”, and “eternal punishment”, or as “eternal life” (Matthew 25:41, 46). Note that the same word “eternal” (Greek aionion) is used in v. 46 to describe both the eternal life of the saved and the eternal punishment of the condemned. One can debate the meaning of the word aionion if one likes, but the word must have the same meaning in both halves of v. 46. It cannot mean, for example, “the unrighteous will go away into age-long punishment, but the righteous into eternal life”. If the life of the righteous is eternal, then so must be the punishment of the unrighteous. One may assert that St. Paul proclaims universalism, but no one has ever suggested that Christ did. All of His words about the fate of men in the age to come are emphatic that hell is eternal, and contain not a hint of universalism. One cannot bypass this fact when promoting universalism, as many seem to do, but must rather explain why it is that Christ is so uncompromising in His words about hell. In his examination of the New Testament evidence mentioned above, Metropolitan Kallistos writes that “these and other ‘hell-fire’ texts need to be interpreted in the light of different passages from the New Testament which point rather in a ‘universalist’ direction”, by which he means “a series of Pauline texts”. This is not so much using Paul as a lens through which to view Christ’s teaching as it is misusing Paul as a means of discounting the teaching of Christ, for if Paul indeed taught universalism, then Christ was simply wrong. One cannot oppose Christ to His apostle like this and reject all of Christ’s teaching on hell simply because one prefers what one imagines is the teaching of Paul. Obviously one must interpret both Christ and His apostle so that their teachings are mutually compatible. And in fact St. Paul does indeed conform with his Lord, and teach that the punishment of hell is unending. Take for example 1 Corinthians 6:10 and Galatians 5:21, where Paul teaches that the unrighteous will not inherit the Kingdom of God. There is no suggestion that actually they will inherit the Kingdom of God after all, but only after a lot of suffering. Or take for example Ephesians 5:6, where he writes that the wrath of God comes upon the sons of disobedience. If by “wrath” Paul meant only “temporary anger which will eventually give place to acceptance and bliss”, his warning loses most of its force. Or take for another example 2 Thessalonians 1:9, where Paul describes the lost as “suffering the punishment of eternal destruction away from the presence of the Lord”. If the banishment from the Lord’s presence were only temporary, it would hardly be eternal destruction. As it is, it looks as if Paul is here echoing Christ’s teaching about the lost being bound hand and foot and cast into the outer darkness. And then there is the Book of Revelation. This Book is clear to the point of being almost lurid that the pains of hell are unending: “if anyone worships the Beast and its image…he also shall drink the wine of God’s wrath poured unmixed into the cup of His anger and he shall be tormented with fire and sulphur in the presence of the holy angels and in the presence of the Lamb. And the smoke of their torment goes up forever and ever [Greek eis aionas aionon] and they have no rest day or night” (Revelation 14:11). The devil and his angels, far from being eventually redeemed because love wins, will be “thrown into the lake of fire and sulphur…and they will be tormented day and night forever and ever” [Greek eis tous aionas ton aionon] (Revelation 20:10). If the words eis aionas aionon does not here mean “unending”, then words have no meaning. Indeed, if a man wanted to express the concept of unending punishment, how much more emphatic than this could he get? One may, if one likes, presume to be more loving and tender-hearted than the apostolic author of these words. One may lament the fate of the lost, while condemning those who believe that hell is eternal as heartless and insensitive members of a “hellfire club”, but of the author’s intent in writing those words there can be little doubt: the punishments of hell are unending and eternal. How such a view can be moral and consistent with belief in a loving God can and should be debated. But for Christians who believe the Scriptures, the truth of this teaching is sure. Our faith must be rooted in the Scriptures, not in our own views of whether or not we think something is consistent with love as we understand it. A belief in hell may or may not be consistent with love, but what is certain is that it is taught in the Scriptures, and this must be the deciding factor for us. The upshot of all this may be summed up by John, the beloved disciple and the apostle of love: “he who does not obey the Son shall not see life, but the wrath of God abides upon him” (John 3:36). Since this teaching about the eternity of hell is so unambiguous, Paul’s other words (which everyone acknowledges contain more ambiguity) must be interpreted in the light of them. In 1 Corinthians 15:28, for example, Paul teaches that at the end, all will be subject to God, so that He “will be all in all”. In its context, it is doubtful if this means more than simply all of God’s enemies including death (the main subject of the chapter) will be destroyed, and in the new heaven and new earth, righteousness will finally reign (compare 2 Peter 3:13). This is compatible with the lost no longer being found in the new heavens or the new earth, but in the darkness outside, excluded from the Kingdom (compare Matthew 13:41-43, 25:30). In other passages Paul writes that just as Adam’s sin brought death to all men, so Christ’s work brought justification and life to all (Romans 5:18), and that “as in Adam all die so in Christ all will be made alive” (1 Corinthians 15:22). Here Paul is speaking of the possibility of all men enjoying eternal life, not of the certainty of their eventual salvation. Paul teaches here that in Christ all have been made alive, and their redemption has been purchased—but whether one chooses to be and to remain “in Christ” depends upon their personal choice. According to Paul, life has indeed come to all, but that life is in God’s Son. No one will enjoy this life unless one is in the Son, “in Christ” (to use Paul’s term) and unless one remains in Him “stable and steadfast, not shifting from the hope of the gospel” (Colossians 1:23). Christ is truly the Saviour of all men (1 Timothy 4:10), but for men to be enjoy that salvation, they must believe, otherwise they will be condemned. In perusing the New Testament teaching, John’s gospel in particular, along with his epistles, shines not only with a universal offer of salvation to all the world, but also with this fundamental binary approach—the choice between light or darkness, faith or unbelief, salvation or condemnation. For St. John the key to enjoying this salvation is acceptance of Jesus as Lord and God. John is emphatic that Jesus came to save the whole world, and equally emphatic that a man must believe in Jesus to be saved. Thus “he who has the Son has life”, while “he who has not the Son of God has not life” (1 John 5:12). Universalism destroys this fundamental apostolic binary. A view of history as one of eternal cyclic return—of all the cosmos falling and then eventually returning to saving unity—might have resonated for many in Origen’s day and inspired his own view of apokatastasis, but it is alien and incompatible with the Hebrew and binary approach to life and salvation found in John’s Gospel, and in the rest of the New Testament. We turn now to a brief look at the Fathers. Here is not the place to enter into a detailed examination of what these ancient Christian writers wrote, and what they meant by it, and whether they would be happy to be thus hauled into court as witnesses for Christian universalism. In the case of Origen, we may doubt this last: he said that although all will be saved, this teaching ought to be kept secret, and shared only with the spiritually mature. Presumably this excluded promoting this teaching on blogs. In the vast array of the Fathers, only a few are regularly cited: Gregory of Nyssa (along with his mentor Origen), and Isaac the Syrian. We note in passing that some have debated whether or not Gregory of Nyssa may be considered a universalist in the sense we are discussing. Metropolitan Hierotheos Vlachos argues in his book Life After Death that Gregory of Nyssa did not in fact contradict the view of the Fifth Ecumenical Council that the punishments of Gehenna were unending. Where such scholars disagree about patristics, I am happy to walk away quietly and leave the question open. But even if Gregory of Nyssa did actually teach that all will be saved, his was still simply a single individual opinion. It could be, as some suggest, that many other Fathers have written from a universalist perspective. Being a parish priest and not a patristic scholar, I have not read everything written by the Fathers, would be happy to hear their voices, especially set in context, finding out in which book or essay they wrote their universalist opinion. But that Gregory of Nyssa and Isaac the Syrian are the only ones constantly quoted by proponents like Ware and Hart does little to bolster the view that many of the Fathers thought like this. One always hears about Gregory and Isaac, and hardly ever about anyone else. It is difficult to not to conclude that Gregory (with his mentor Origen) and Isaac the Syrian and few others stood over against the vast consensus of practically everyone else. At the risk of opening up a game of duelling patristic citations, in the east one might quote from St. John Chrysostom: “There are many men, who form good hopes not by abstaining from their sins, but by thinking that hell is not so terrible as it is said to be, but milder than what is threatened, and temporary, not eternal… But that it is not temporary, hear Paul now saying, concerning those who know not God, and who do not believe in the Gospel, that ‘they shall suffer punishment, even eternal destruction.’ How then is that temporary which is everlasting?” (from his third homily on 2 Thessalonians). Then in the west we may quote from St. Augustine of Hippo: “I am aware that I now have to engage in a debate with those compassionate Christians who refuse to believe that the punishment of hell will be everlasting…On this subject the most compassionate of all was Origen, who believed that the Devil himself and his angels will be rescued from their torments and brought into the company of the holy angels…But the Church has rejected Origen’s teaching…Is it not folly to assume that eternal punishment signifies a fire lasting a long time, while believing that eternal life is life without end? For Christ, in the very same passage, included both punishment and life in one and the same sentence when He said, ‘So those people will go into eternal punishment, while the righteous will go into eternal life’” (City of God Book 21, chapters 17, 23). In this last citation we note that Augustine asserted that “the Church has rejected Origen’s teaching”. He appears to refer to an existing consensus, which rejected the apokatastasis taught by Origen. This consensus would later come to be expressed in the canons of future Ecumenical Councils. The views of the Fathers are important, but perhaps not as important as the traditions of these Councils, for an Orthodox thinker may disagree with St. Augustine or St. John Chrysostom, but he may not disagree with the conclusions of the Ecumenical Councils and still regard himself as genuinely Orthodox. This is not a matter of “rigorism” or being exclusionary, but simply a matter of recognizing the normative authority of the Ecumenical Councils for those claiming to be Orthodox. Origen of course produced much good work in his day (St. Gregory the Theologian referred to him as “the whetstone of us all”), but much of his speculation was later deemed erroneous and heretical. The abiding point of the anathemas therefore has to do with Origenism as it was known in the sixth century with its erroneous teachings, and less to do with the historical figure of Origen himself. What was it that the Church was determined to anathematize? We gain some idea from looking at the fifteen anathemas themselves. The first one anathematizes anyone who “asserts the fabulous [i.e. mythical] pre-existence of souls”. The fourteenth anathema rejects the teaching that “all reasonable beings will one day be united in one when hypostases as well as the numbers and the bodies shall have disappeared…and that in this pretended apokatastasis spirits only will continue to exist”. Clearly the doctrine of apokatastasis considered here appears in Origenistic dress. But would the Council Fathers have been much more accepting if the doctrine appeared without Origen’s teaching of the pre-existence of souls and their eternal return? St. Augustine would not have been much mollified, nor St. John Chrysostom. Nor would Justinian, who called the council: one of his nine anathemas against Origen reads, “If anyone says that the punishment of demons and of impious men is only temporary, and will one day have an end, and that a apokatastasis will take place of demons and of impious men, let him be anathema”. It is possible, I suppose, that although the Emperor seems to have rejected the notion of apokatastasis in principle, the Council Fathers accepted it in principle, and only anathematized it because of its Origenistic framework, but this seems a bit of a stretch. If the Council Fathers had no problem with apokatastasis as such, one wonders why they mentioned it at all in their condemnation of Origen. At least they could have made clear that it was Origen’s use of the teaching that they found objectionable, and not the teaching itself. It all reminds me of the special pleading of John Henry Newman, who argued in his Tract 90 that the 39 Articles (then considered authoritative for Anglican clergy) did not condemn the doctrine of purgatory in principle, but only “the Romish doctrine concerning purgatory”, when clearly the framers of the 39 Articles would have little sympathy for any doctrine of purgatory at all. At the end of the day what ultimately matters is less the historical minutiae of the Council’s background (fascinating though it may be to scholars) than the abiding consensus of the Church through the centuries–a consensus reflected not only in the Church’s iconography regarding the Last Judgment, but also in her hymns. Consider, for example, the stich for the Vespers of the Sunday of the Last Judgment: “the whole vale of sorrow shall echo with the fearful sound of lamentation, as all the sinners, weeping in vain, are sent by Your just judgement to everlasting torment”. The Church later read the Council as condemning not only Origen’s teaching in particular, but also as condemning the concept of an ultimate apokatastasis in principle. One may lament this reading of the Council (as some do) and spend much effort trying to correct it and promote universalism as a live option (perhaps even rehabilitating Origen). But surely an age-long Orthodox consensus has a weight of its own? For centuries Orthodox Christians have believed that the doctrine of an ultimate apokatastasis was off the table, and this cannot be ignored. It is a narrow and legalistic reading of our tradition that that ascribes authority only to the pronouncements of the Ecumenical Councils, as if everything not explicitly condemned by them were live options. Liberal scholars, of course, are happy to dismiss centuries of tradition and belief as the ramblings of the ignorant and uneducated, but pious Orthodox will give this tradition its due weight. And when the Scriptures are so clear, and when the consensus of the Fathers so weighty, and when the occasions when the Ecumenical Councils which considered the question all point in the same direction, we may conclude that we have found the mind of the Church. We live in a day when much of Holy Tradition is being challenged in the Church, and many questions which were considered closed are now being considered open. It is not surprising, therefore, if the Church’s condemnation of the apokatastasis is among them. It remains to consider the question: if a desire to rehabilitate a belief in the apokatastasis is indeed a fad, why does it arise in our culture now? A full response cannot be attempted at the end of an already over-long article. But I think that is not unrelated to our culture’s loss of its sense of sin. As mentioned over a century ago by C.S. Lewis, the modern West has lost its sense of sin. In ancient times, all men, be they Jew, pagan, or Christian, believed that they stood guilty before the divine judgment seat. That is not to say that there was no cause for theodicy, but at very least one felt shame for one’s own sins. Thus when Christ said in passing that men were evil [Greek poneros; Matthew 7:11], no one batted an eye, for everyone knew it was true. We no longer believe that, and so (in Lewis’ famous phrase) we have put God in the dock, with ourselves as His judges. In this frame of mind the very existence of hell is a stumbling block, and something which cries out for justification, if not revision. There is a place for considering and explaining how the existence of hell is consistent with God’s love. But we set ourselves up to err if we do not first feel the shame for our own sins, and proceed from there. The Rite of Proskomedia: Who Is Included? I have been thinking recently about the phrase “The gates of hell are barred from the inside” I heard years ago. Does this accord with Orthodox teaching? The Orthodox Churches in my New Zealand town seem to have evaporated and so I attend decent Anglican services, and wonder if I’m catching all the differences in interpretation. I’d appreciate it if you would allow me to continue to receive your messages? Yes, I believe CS Lewis’ comment that the doors of hell are locked from the inside accords with our teaching–i.e. that the damnation of the lost is not because God refuses to forgive the penitent, but rather because the lost refuse to/ cannot repent. You mention that the damned may remain in their torment because they “cannot repent.” I may misunderstand the intention behind this statement, but it seems to have disturbing implications. For instance, would not a person who “cannot repent” be in hell against their will? Cameron: I would answer your question by saying both yes and no. The path to forgiveness/ out of hell involves the willingness to repent. If they do not repent or cannot repent, there is no escape from hell. They are in hell against their will, in that they would desire to leave and remain impenitent, but this is not possible. Is it consistent with the Fathers and the Ecumenical Councils to believe that the fires of hell are eternal, one’s remaining in them eternally is conditional upon one’s remorse and repentance or lack thereof? C.S. Lewis draws this distinction in The Great Divorce and other writings. Also, Metropolitan Hilarion Alfanayev has also written a book which, based on an exhaustive study of prayers for the departed and other liturgical texts of the church over the centuries, cautiously leaves the door open for the possibility of universal salvation. Would you care to comment on his views? Andrew: Yes, I believe that the eternity of one’s damnation is dependent upon one’s continued impenitence. I will deal with this issue in my next blog. I have not read Metropolitan Hilarion’s book yet, so I cannot comment upon his views. I have heard that lately his views are more traditional. I look forward to reading what he has to say. Excellent and in understandable language, Father! Can you please expand on your last point as to the reasons behind the Universalist impulse? I would guess, and of course this is just a guess, that some such as Bishop Kallistos and perhaps Origin himself have not lost the importance of sin, but that there may be some other impulse that’s egging them on in this or other direction, so to speak. I call thus an impulse because I have them too, from time to time, an urge to speculate and hinge my faith on certain ideas. Well, I suppose it would be good to overhear you having a conversation with them! Salaam, thank you for your kind words. Just to clarify: I did not mean that Metropolitan Kallistos found universalism attractive because he had lost a sense of sin. I am sure the Metropolitan has a keen sense of sin, as all good Orthodox should have. Rather I meant that our current culture has lost its sense of sin, and therefore finds the traditional doctrine of hell problematic, and this in turn makes universalism culturally attractive. (I suspect that Origen espoused universalism because it was more consistent with many of the philosophies of his day–but of course having a conversation with him is not possible. ) I think that the dividing line here is the extent to which one takes one’s inspiration from the surrounding culture versus one’s willingness to oppose it. Ultimately, of course, no one can see into the heart of another, which is why the debate must confine itself to objective things like Scripture and Tradition, and avoid all ad hominen replies. This may be one the most careless and cursory critiques I’ve read. It would be more credible if you actually engaged the literature on the subject; rather than paint with such a broad brush. First the Universal Hope of the Restoration of All is not a Fad as evidenced by Christian History. Of the 6 Theological Schools through the 5th-6th century four of the 6 held a Universal Restoration position specifically Alexandria,Antioch, Caesarea, and Edessa or Nisibis. One (Ephesus) held conditional mortality; the Other (Carthage or Rome) taught endless punishment of the wicked. Other theological schools are mentioned as founded by Universalists, but thir actual doctrine on this subject is unknown. You don’t present the position of Universal Restoration accurately nor do you represent the individual teachings by each saint well or represent the actual teaching effectively. You need to add more people to your list. and St. Gregory of Nyssa writes.. Your article is rather long so to really engage all that you have said would require a very long response; but it is very evident that you haven’t actually read any noteworthy work on this issue. I suggest you start with Ramelli’s 900 page volume on the subject of Apocatastasis who has devoted 15 years of her life to this subject. Not do so will only leave you to continue to misrepresent the positions actually held and to consider how the challenges passages you have mentioned are actually handled by men far more pious than myself who believed in Universal Hope at a time when men and women where having their tongues cut off, being mauled by lions, and watching their children die yet you have the audacity to say this belief (which you didn’t really identify accurately) is a fad. Dear Isaac the Sinner: Thank you for your comments. Just a quick question: in which work is the citation you mentioned from St. Ambrose? I would like to read more and in context. “Certainly, in comparison with one who has lived all his life in sin, not only the innocent babe but even one who has never come into the world at all will be blessed. We learn as much too in the case of Judas, from the sentence pronounced upon him in the Gospels; namely, that when we think of such men, that which never existed is to be preferred to that which has existed in such sin. For, as to the latter, on account of the depth of the ingrained evil, the chastisement in the way of purgation will be extended into eternity…” (On Infants’ Early Deaths). And Isaac, can you give us a list of the Fathers who interpret the following passage to mean that the fire will be quenched and the worm will die? “And if thy hand offend thee, cut it off: it is better for thee to enter into life maimed, than having two hands to go into hell [gehenna], into the fire that never shall be quenched: where their worm dieth not, and the fire is not quenched. And if thy foot offend thee, cut it off: it is better for thee to enter halt into life, than having two feet to be cast into hell, into the fire that never shall be quenched: Where their worm dieth not, and the fire is not quenched. And if thine eye offend thee, pluck it out: it is better for thee to enter into the kingdom of God with one eye, than having two eyes to be cast into hell fire: where their worm dieth not, and the fire is not quenched (Mark 9:43-48). That again would be a very short list, because I do not believe you will find a single example. Thank you Isaacthesinner. And thank you, Fr Farley for your humble interest in what Isaac has to say. Unfortunately the quote was pulled from Ramelli’s book of 900 pages and I don’t remember exactly where the quote came from but if memory serves me correctly it is from his work ‘On the Blessing of Death’, in which he takes a singularly mild view of the punishment of the wicked, expresses his belief in a purifying fire, and argues that whatever the punishment be, it is a state distinctly preferable to a sinful life. Ambrose’ eschatology was deeply influenced by the larger hopes of Origen. In Ramelli’s book she makes clear that the universalist hope was affirmed by many Christian theologians. She lists the following: “Bardaisan, Clement, Origen, Didymus, St. Anthony, St. Pamphilius Martyr, Methodius, St Macrina, St. Gregory of Nyssa (and probably the two other Cappadocians), St Evagrius Ponticus [saint in Oriental Orthodox Churches], Diodore of Tarsus, Theodore of Mopsuestia, St. John of Jerusalem, Rufinus, St. Jerome [until his famous repudiation of Origen] and St. Augustine (at least initially), Cassian, St. Isaac of Nineveh, St. John of Dalyatha, Ps. Dionysius the Areopagite, probably St. Maximus the Confessor, up to John the Eriugena” (p. 11). St Ambrose of Milan also comes close with his belief in the salvation of the baptized. Which you have failed to mention in this article. Concerning the Old Testament you make the following statement. I would agree that God judges sin which is an expression of His love, but I would strongly disagree with how you have presented that Judgement. What is also interesting is the way in which you present Sin; as if Sin has an ontological substance or eternal substance meriting God’s anger and hatred and severe action towards it for all eternity. This is refuted by many of the fathers and theologians of the church. It is demonstrated by several fathers that “Evil” is a non-reality. So then how can God hate something that is a non-reality, how can God hate something that will cease to exist forever? How can we ascribe hatred to a loving God and more importantly how can we ascribe hatred to the incarnate one who died for His enemies? will choose evil any more, and as a consequence evil will no longer exist. shares with Origen and Nyssen and which he declares, for instance, in Amb. God is the creator of evil!” Likewise, evil is declared to be non-being in Amb. in fact, it could not be such, because it would resolve into non-being. This statement holds true if Evil has the same ontological reality as the Good, the problem with that view is that Evil wasn’t understand that way among many Fathers. I think the Fathers are correct in stating Evil is “non-being”, and that at some point it must cease to exist not sharing any eternal qualities since only God is eternal. How can we say evil will share in this particular essence of God? Therefore there are those who have disagreed with your exegesis based upon these principles and also based upon linguistic analysis yet you brush it to the side as having no merit. Dear Isaac: Thank you for your lengthy reply, and for the requested citation from St. Ambrose. I look forward to reading more of the essays you mention in their entirety. (And will not ask for citations from the others you mention!) Such a lengthy reply makes difficult a point by point response in a comments section. I will here only suggest that evil being not real in the same way as righteousness is real does not necessarily imply that it must some time cease to exist. But debatable philosophical questions aside, the exegetical point of Matthew 25:46 remains, as St. Augustine pointed out. Clearly the use of aionion in this verse to describe both the fates of the saved and the lost indicates that hell is as unending as the life of the righteous. If your reading of the Fathers is correct, then the Lord’s words here are simply wrong. I suggest that the clarity of exegesis should be preferred to the ambiguities of philosophy. And apart from such exegetical and philosophical considerations, it is true that the Church throughout the centuries has decided against universalism (as our iconography and hymns show). Surely such a long and impressive consensus should count for something? Finally (forgive me) a question: I am having trouble finding Ambrose’s On the blessing of death in English. Where might I find it? Thank you Father Lawrence for ”setting the record straight” as it were. I think one of the greatest threats today to Orthodox Christians is this notion of trying to bring God and His love to our level, and to recreate Him in our image and likeness”. With that in mind, people think to themselves ”how could God, MY God of LOVE and mercy be so cruel as to send people to hell for all eternity?” Truth is, He doesn’t. We choose it for ourselves through choosing sin instead of obedience to His commandments. People nowadays want to have their cake and eat it. The good pleasures of this life, Christianity without the cross as it were and the eternal bliss in the age to come because ”we believe, so we are saved; that’s all.”. Holy Scripture, Christ’s own words and the testimonies of the lives of the saints and martyrs who struggled throughout the centuries tell a very different story. ..
And I’m very glad you picked up on Met Ware’s book. I recall regrettably purchasing it some years ago, being both confused and appalled, never reading any more of his writings and heading straight back to the writings of the Fathers and modern day monastics such as St Paisios, St Porphyrios etc. who speak the Truth in Godly love – and straight to the point without forcing you to try and interpret and reinterpret what they mean or don’t. Thank you for your gentleness and kind words, but let me suggest my objection or better yet objections raised by the works of the Fathers concerning the Ontology of Evil is not the only valid objection I’ve brought to the table. Instead it was an argument against your presentation and logic concerning the necessity for Evil to be eternal in context of the passage and the some Fathers teaching on the ontology of Sin. What you may not realize is you are arguing from a Philosophical Hermeneutic too yet condemning Philosophy as a means for exegesis (contradiction). There are other exegetical considerations concerning the words of Jesus in Matthew’s Gospel and also with the linguistics of the Greek word in question. Outlining the probable mistranslated greek word aionion would require to lengthy of a response here, but at best I can point you to a resource on the subject and it’s not nearly as clear as you suggest (which I believe is why your blog is rather cursory, and careless). I think you may be aware of this given you bring it up, but you really haven’t engaged with those who question the actual translation itself in a satisfactory manner. It is however something to consider that the Fathers felt it necessary to give us a understanding of the Ontology of Evil in relation to there engagement with Manicheism, and Gnosticism. It provides a clear response to many of the Duelist teachings of Evil and Good of there time as well as our own. This is highly debatable, nor a universal interpretation of the hymns or iconography and as I’ve demonstrated in my first comment it was not the consensus for the first 6 centuries. Norman Tanner in his work on the 5th Ecumenical Council observes that this council was the most controversial council of the 7 given the cultural context of everything that was going on. As Fr. John Behr has also observes there was never a “golden age” or “pure” stream of a community of faith as many Orthodox like to say or present. History simply gives us a different picture along with looking at the entirety of what a Father has said over the scope of his life; that is, there writings that have either been discovered or preserved (there could be more on a subject they have spoken that we don’t posses). I do not think Metropolitan Kallistos Ware is in error nor in danger of falling into Heresy when He suggest we must and should HOPE that ALL will be saved. This allows us to acknowledge the reality of Hell without drawing definitive conclusions that people will actually spend eternity there giving us a deep longing that no one would. The danger of taking a firm position on either side be it Eternal Conscious Torment or Universalism (I don’t like that word far to vague) is that both positions assume they know what is simply inscrutable and what the Scriptures seem to leave as a mystery. We know hell is a real threat, sin has real consequences, but that God desires that all would come to the knowledge of the truth, and that sinners would repent and be saved. There is evidence for both opinions and I think this is why the Church for the first 5 centuries was reluctant to take a firm position on the subject in discussion. Given the influence of the Empire on the Church we should consider the justifications made by St. Justinian for his determination to condemn Origen though doubtful Orgien actually taught what was condemned. What I see in your work is simply is either an unwillingness to actually face the mystery, or perhaps genuine misinformation. You have been very charitable in our conversation, and I am certain you are a far more holy man than myself, but if there is a hell Father I am the only one who is going, pray for me a sinner and maybe if we all believed we were the only ones going to Hell we would finally begin to Hope that ALL would be saved. Isaac: Once again I find it difficult to engage in a detailed reply to such lengthy comments. My point (and St. Augustine’s) about the word usually rendered “eternal” is that however one translates it, it needs to bear the the same meaning in both halves of Mt. 25:46, and I haven’t yet seen this point addressed. Also, may I ask again where I could read the entirety of St. Ambrose’s “On the Blessing of Death” that you mentioned? It seems not to be included in the list of his writings found in the Nicene and Post-Nicene Fathers collection’s volume on Ambrose. Matt 25:46 is probably the most single used verse in Scripture to attempt to disprove universalism. The argument goes something like this: Since believers are said to reap “eternal” life in the second half of the verse, then in order to be grammatically consistent one must conclude that unbelievers also reap “eternal” punishment. Therefore unbelievers are condemned to hell/lake of fire forever and not all are eventually saved which disproves universalism. At first glance this appears logically consistent and a foolproof argument. However this argument fails to take into account the context of this verse. It presumes that the sheep are believers and the goats are unbelievers at the great white throne. Is that premise accurate? Different Time: The judgment of the nations occurs at the second coming of Christ (Matthew 25:32); the great white throne occurs following the millennial kingdom (Revelation 20:11-12). Different Scene: The judgment of the nations occurs on earth (Matthew 25:31); the great white throne judgment occurs at the great white throne (Revelation 20:11). Different Subjects: At the judgment of the nations, three groups of people are mentioned: the sheep, the goats, and the brothers (Matthew 25:32, 40). The great white throne judgment involves the unsaved dead (Revelation 20:12). Different Basis: The basis of judgment at the judgment of the nations is how Christ’s “brothers” were treated (Matthew 25:40); the basis of judgment at the great white throne is their works (Revelation 20:12). Books are opened in the latter; books are not mentioned in the former. Different Result: The result of the judgment of the nations is twofold: the righteous enter into the millennial kingdom; the unrighteous are cast into the lake of fire. The result of the great white throne judgment is that the wicked dead are cast into the lake of fire (the righteous are not mentioned). Resurrection: No resurrection is mentioned in connection with the judgment of the nations. A resurrection does take place in connection with the great white throne judgment (Revelation 20:13). The goats are those who go into the lake of fire for an age of time. The sheep are those who go on to inhabit the earth also for an age of time – during the millennium age. Aionios life as applied to the sheep cannot mean eternal life since the age only lasts for 1,000 tears. Since aionios life cannot mean eternal life for the sheep then it does not stand to reason that it must automatically mean eternal damnation for the goats either. A few thoughts on this subject for what they are worth. There are two subjects here, and it would be a shame to have them conflated and thus confused. One is whether we may hope that all may be saved. The other is whether we may teach that all will be saved. These are two entirely different things, and it would be helpful to any discussion if they were treated separately. Philosophy is permitted and useful to the extent that it remains in the service of revelation. The boundary of philosophy for Christians is the truth as revealed in Christ. If it is true that those in hell are being scourged by love, and if it is true that only God is eternal, then some of the conclusions and arguments presented by both sides in recent comments need further examination. First, God is eternal primarily because He exists (in a manner beyond existence). God is not eternal because he exists ‘forever.’ The word eternal need not imply time or duration. When the apostle writes, for example, that he “writes these things in order that you may know you have eternal life,” he is not primarily telling us that we will live forever and ‘go to heaven when we die.’ He is assuring us that if we are living in the way of God’s love, then we are sharing in His divine energies; and therefore the kind of life we have is eternal – not primarily in its duration, but in its underlying cause. In other words, we do not have eternal life because we live forever; we live forever because the life within us – and in which we live – is eternal. This, I would suggest, has implications for how we might meditate upon the meaning of ‘aionion’ (or eternal) in Matthew 25. Neither the life of the righteous nor the suffering of sinners has any existence that can in any way be considered eternal apart from God being “all in all” – for both. Second, while it is true that evil has no existence, this need not lead to the conclusion that the suffering of those who are being scourged by love is in any way an evil or that it must ‘of necessity’ cease. Something that has no existence to begin with cannot cease to exist. We are left only with God (who alone is eternal and will Himself be all things to all men) and with human persons whom God wills to exist (and whose existence is an irrevocable gift). I, too, have hope that all may be saved, and I firmly believe that God is so good beyond our comprehension that such a thing is possible. Moreover, since God Himself wills that all men be saved it would seem permissible to have such a hope, for it is a hope in the likeness of God. But such has not been revealed to us. What has been revealed to us by the One who knows the end from the beginning is that few will be saved though God never ceases to pour Himself out in love to all without partiality. Whether there is an age to come that has yet to be revealed in which, perhaps, we ourselves participate in the salvation of the damned, the demons, or Lucifer Himself, I cannot say. Nor could I (or any of us) be trusted with such knowledge were it to be revealed. It would be the sort of knowledge of which God knows we are not yet worthy, much as the knowledge imparted by the tree in the Garden . We ought not be curious about things that are forbidden to us. I would also agree with Isaac the Sinner. After spending years studying the issue, I have concluded that the apocatastasis, can be strongly inferred both biblically, patristically and by considering the will of God that All should be saved. I would suggest reading Bishop Hilarion’s Spiritual world of St Isaac or the Original 2nd Part text translated by Sabastian Brock who is a Syrian scholar. St Isaac is anything but easy on sin but holds firmly to the eventual salvation of all in the ages to ages. (I’m assuming from the original Greek) that clarifies the “eternal hell” passages and also has in the works a book on them apocatastasis. Ps. I would agree that Saint Paisios and Saint Porphyrios make excellent reading. B. Stephen: Thank you for your comments. My intention is not to pick a theological fight with David Hart (whose books I very much appreciate) or with anyone, but to defend and promote the historical Orthodox tradition. Thank you, Father Aidan, for your response. It is difficult to reply point by point to an entire blog article without writing yet another blog article of similar length. So I will only make a few brief responses. First, I deny that I use a “hermeneutic of perdition”. Rather I am interpreting passages of some ambiguity by the light of passages of less ambiguity. Talking about “a hermeneutic of Pascha” simply muddies the exegetical waters. Secondly, the possibility of a soul being lost does not mean that “hell wins”, as if hell were a team in a competition. One cannot even say concerning such a terrible possibility that “human choice wins”, since human choice remain determinative to our eternal destiny whether the person is saved or lost. It is unhelpful to portray the loss of a soul as “hell trumping the Gospel”, for the Gospel is not “all men will be saved”, but rather that “all men may be saved if they so choose”. This does not make Gospel a “conditional promise”, but a free offer of grace. That the offered can be refused does not make it any less free, gracious, or glorious. Finally, though I am quite aware of the option of the annihilationist/ conditional immortality view, (and have Fudge’s The Fire that Consumes on my bookshelf), I did not deal with it because it seemed to lack proper historical credentials. Even Metropolitan Kallistos, in his essay Dare We Hope for the Salvation of All? acknowledged that though it was held by fourth century Arnobius of Sicca, it has otherwise little support in earlier tradition. And if the impenitent are to be annihilated, what then of the universalist insistence that “love wins”? If the impenitent are burned up by God and so cease to exist, what is to stop one from protesting that then “non-existence trumps the Gospel”? I conclude therefore that the main contenders in the field are the traditionalists (or “infernalists” as some would prefer) and the universalists. Thank you again for your thoughtful response. Thanks for this – excellent read! It seems that your rejection of universalism is based more on your Catholic views of tradition and eschatology, rather than on any specific passages in the Bible itself. It also seems that a basic misunderstanding of the use of “aionos” and the way it can change based on context/the word being modified is at play here. God has been revealed as truly everlasting, while Hell has not been. “Eternal” itself signifies something without a beginning or an end. We know that God fits that bill. In that case, aionos is translated correctly. But Hell is not without a beginning, and so it does not fit the bill for being “eternal” as we understand that word. In that case, the alternate meanings (and perhaps even the primary, in this case) would be consulted, meaning that Hell is age-long, not everlasting. It does seem like you haven’t researched Universalism all that much, as many of these questions have been answered many times throughout the years. Rather than answer your comment at length, perhaps I could suggest that you buy my book Unquenchable Fire where your objections are dealt with at length. I’ll have to pass on that. It’s clear from your above responses that you don’t have an answer, especially from the perspective of etymology. As I said, it is in my book. If universalists want to find a basis for their view in scripture and tradition, they have an uphill climb. If they want to genuinely make that climb, familiarize themselves with the literature, and present the case, I encourage them to do so. More often, in my experience, there is a certain pretense and air of scholarship (speaking of the universalist keyboard warriors, not Ramelli) which evaporates into nastiness when the cover is blown. Thank you, Thomas, for your words, and also for the reference to McClymond’s review, which I will try to find. Meanwhile, for any who are interested, my own review of Ramelli’s book may be found at: https://blogs.ancientfaith.com/nootherfoundation/grasping-straws-tower-academia/. I quite agree with you about the nastiness of some universalist keyboard warriors. It reminds me of the counsel someone once gave to a speaker preparing for a debate: “Your argument is weak; make sure you shout louder”. IMO The invention of eternal hell is The most wicked and disgusting one in human history, a crime just as evil as Hitler’s and Stalin’s, and I have argument for it which would make any sane person Agree. IF Anyone would deserve such a horrible fate, it would be those who Preached The idea and destroyed The lifes of milions. I think that deep down, the majority of you Christians know this, and if Christ really did preach this, I am prepared to freely go to hell instead of worshiping such a mental torturer and sadistic creator. The “free choice” he gave man is Then something unexcusable done by this angry creator, something which makes me understand why he was crucified, as a punishment for The failure he mad. And The Christian bullying of Judas throughout history is hypocrisy and evil too. Read The text and see what a victim he was, and how he if Anyone of the apostles should be praised.